Oak Hill Building is a design/build firm specializing in renovations, additions, kitchens, baths and more! Our experts work closely with clients to provide quality workmanship, honesty, integrity and a Commitment to Excellence. For elegance beyond compare, choose Oak Hill. From land acquisition through post construction landscaping, Spectrum Homes will work with you to uniquely plan, design, construct and warranty your new home or tailored space. We are a Certified Green Professional firm. We specialize in unique homes, additions and finished lower levels. Arlington Fence's small family-owned company builds all types of fences: aluminum chain link, custom wood and PVC vinyl. In addition, we do deck and step refacing and build pergolas. Beitzell Fence has been building quality, long lasting fences and decks for over 28 years, including wood fences, chain link, ornamental iron, vinyl, privacy, driveway and entrance gates, decks & screened porches, railing and ironworks. Deckscapes of Virginia specializes in custom designed decks, outdoor kitchens and masonry, screenporches, gazebos and patios. Fairfax Chimney & Fence offers a full portfolio of chimney services including evaluations, sweeping, brick repair, waterproofing and restoration. We also provide new fence installation and offer fence repair services. Northern Virginia Deck & Fence's highly trained and experienced staff is ready to help you in the design, estimating, step-by-step instruction and installation of your new fence or deck. Academy Door's staff of experienced sales professionals will work with you to determine the style, construction and size of the garage door that will fit your home's appearance, your family's needs and your budget. We also install electric openers. 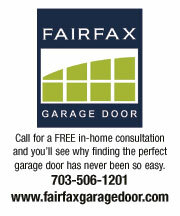 Affordable Door provides complete garage door repair and replacement services throughout Northern Virginia. We are locally owned and operated and take pride in offering professional garage door sales and service. For over twenty years, Door Doctor has specialized in garage door and garage openers, and recently expanded our services to include windows and entry doors. Call us for professional quality, craftsmanship and personal service you deserve. Fairfax Garage Door specialists will help you decide on which style and type of garage door is the best choice for your need and budget. At the end of your free in-home consultation, you will have samples, color, safety ratings and even a realistic visual portrait using garage door viewing software. A Reliable Chimney & Gutter offers gutter cleaning, installation of gutters, covers and downspouts, chimney services. Metro Gutter & Home Services is the top provider of quality gutter installation and repair services in the area. We also provide chimney services, roofing, siding, windows, pressure washing, deck maintenance and carpentry. Established in 1986, Gutterman Services, Inc. is a general contracting company specializing in rain gutter installation, leaf-free gutter guard systems (i.e gutter covers), vinyl siding installation, replacement doors and replacement windows, as well as metal roofing systems. LeafFilter™ uses the most effective debris-blocking and water-handling technology in the history of the gutter protection industry. Keep your gutters running freely and protecting your valuable property. Call today for your free estimate. Since 1978, Winston Home Services has provided gutter services including cleaning, repair, and installation of gutters, gutter cover systems and downspouts; chimney services including sweeping, repair and restoration; and general home services. Keeping our community beautiful, A.M.M. Lawn Service offers lawn care, tree service, yard cleanup, fences, stonework and patios. Belmont Power Equipment's goal is to offer the best equipment for a wide variety of lawn and landscaping needs for both commercial and residential use. No matter the season, we have the equipment, parts and service to keep your business or home in great shape. Christy Beal and her talented staff at Garden Angel Designs can transform even the most uninspired plot into a heavenly design. Clients get personalized attention throughout the consultation, design, plant selection and installation process. Grasshopper Garden Escapes is a perennial and small garden experts, specializing in townhouse, raised bed and container gardening, landscape and garden design, installation and maintenance. 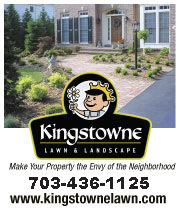 Kingstowne Lawn & Landscape is a full-service residential and commercial lawn and landscape company. Our licensed technicians will care for your lawn and landscape like their own. Our year-round services range from mowing and lawn care to landscape design and decks. Rock, Stone and Sand Yard, Inc., provides quality construction and landscaping products to contractors and homeowners, alike. We supply top grade sand, gravel, building and landscaping stone, interlocking pavers and landscaping wall systems. Sand and gravel are available by the ton, 30 gallon can, or 5 gallon bucket. Ryan's Landscaping is committed to serving you through the best customer care in the industry. From lawn mowing to landscape design to building and installing patios, walkways and retaining walls, we're ready to take care of all of your yard and landscape needs. Having a beautiful lawn year round is easy when you have Town & Country Landscaping taking care of your lawn. As a family owned business, we take pride in our work and it shows! Contracts available. Tree services, landscaping and hardscaping services are also provided. Locally owned, licensed and insured, Turf Builders Industries' applicators are certified by the State Environmental Protection Agency. We utilize only dry granular fertilizers and over seeding methods to insure the best possible stand of grass and our pesticide usage is only done as needed. Weaver Enterprises offers competitive prices for today's economy for landscaping services including fertilization, aeration, lawn treatments, trimming, pruning, plantings, mulching, edging, total yard cleanups and hardscapes. We also do interior and exterior general handyman services. Since 1972, Ev-Lands Landscaping and masonry Designs has specialized in restoration, repair and new installations of stone, brick and concrete patios, retaining walls and more. We also offer light excavating, hauling and yard cleanups. Meno's Flagstone & Brickworks offers old-world craftsmanship for your flagstone and brick hardscape projects, including patios, sidewalks, steps and retaining walls. We can cut and design almost any shape. Call Meno, a master with over 30 years experience, for a free estimate. The art of old world masonry combines master craftsmanship and the use of the finest and highest quality stone and brick available. Since the 1950s Masonry Specialists has provided Northern Virginia homeowners with the finest in masonry construction, repairs and restoration. Located in Fairfax, Ronald J. Crouch Masonry & More offers custom design, installation, repair and restoration of brick, block, stone and concrete patios, walkways, driveways, retaining walls, landscaping and water features. GreatChristmasLights.com doesn't just offer Christmas lighting products to decorate your home for the holidays. Our high-level of service includes custom design consultation, installation of your selections, service and maintenance, and take-down and packaging. Outdoor lighting can be both functional and aesthetic. It's an art to understand how much light to place on a house or determine where the focal points are. Lighthouse Landscape Lighting experts are there to assist you every step of the way. Outdoor Lighting Perspectives is Northern Virginia's premier landscape and architectural lighting company, offering elegant custom lighting solutions that extend leisure time outdoors, showcase your home's appearance, and add security and practical visibility. 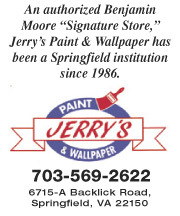 An authorized Benjamin Moore dealership, Jerry's Paint & Wallpaper offers expert advice and personalized attention you can't get in a warehouse store. Kingstowne Painting offers interior and exterior painting, rotten wood repair, and drywall repair, all done by experienced professionals. 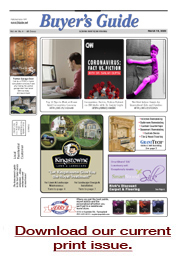 Licensed and insured, Kingstowne Painting is a subsidiary of Kingstowne Lawn & Landscape. Whether you're new at painting, a seasoned expert, a professional contractor or an ambitious homeowner, Mount Vernon Paint Company, an authorized Benjamin Moore dealership, is the shop to go to for all your painting, caulking and adhesive needs. Beautifying your world, one room at a time, SimPro Painting offers interior and exterior painting, quality craftsmanship, wallpaper removal and personal color consultation. Our expert surface preparation and application is what sets us apart. It pays to hire a contractor with experience. For over 18 years, Williams Professional Painting has specialized in interior and exterior custom painting, carpentry, wall paper removal and expert drywall and plaster repair. We are a class 'A' contractor, fully licensed, bonded and insured, and all work is fully guaranteed. Capitol Pools of Virginia's focus is on pools. We distribute, install, and service the San Juan line of pools, an established manufacturer of quality pools since 1958. We are a licensed dealer for the top pool equipment manufacturer, Hayward Equipment. B.J. Pool & Spa is a family-owned business dedicated to customer satisfaction. We carry a wide variety of pool and spa chemicals, filters and supplies. Check out our showroom for a large selection of spas and accessories to choose from. Houston Pool offers new pool construction, renovation, service (openings, closings, repairs, heater installations, safety covers) and retail sale of over 20,000 pool parts and a full line of quality chemicals. In business for 21 years, Ameritech's home improvement products and services include custom replacement windows, doors, siding, patio, decks, screened porches and sunrooms using the highest quality products and materials on the cutting edge of technology. Visit our showroom. House of Doors' showroom has over 100 doors on display. Many of the samples are handmade in the firm's own 10,000 sq. ft. door plant. Custom doors are available in a number of wood species. Raw materials such as red oak, soft maple and mahogany are stock. Doors are all we do. Just Doors offers installation services for patio doors, single entry doors, door with side lights, storm doors, interior doors, bypass closet doors, new lock and keypad entry deadbolts. Thompson Creek is a local, family owned company that has been proudly serving the Maryland, Virginia, and Washington DC Area since 1980. We install windows, doors, siding, gutters, closets and garage organization systems. Since 1987, Unicorp Home Energy Services has provided window, siding, roofing and deck solutions at competitive prices. From installation to final clean-up, we will show up on time and treat your home as if it were ours. Estimates are always free, so give us a call today. Viny-Lite Window Factory wants to be your source for windows. We're not just a reseller, we're a manufacturer, so we always have exactly what you're looking for. With over 25 years of experience and our own staff of professional installers, we have perfected the art of satisfying our clients. Family tree Service offers tree removal, pruning, stump removal, free limb mulch and wood rounds. Free estimates, ISA certified arborist. Specializing in tree removal and tree trimming, JL Tree Service is a reputable, licensed, certified, accredited, and fully insured tree removal service company, well known in the Fairfax, Northern Virginia, Maryland, and DC areas for quality work, quick response and reasonable rates. For over 25 years, North's Tree & Landscaping's family run business has provided trimming, pruning, uplift, removal, lot clearing, mulching, stump removal and more. Emergency service available as well as seasoned firewood. Reasonable rates, licensed and insured. For over 20 years, Richard's Tree Service has been providing expert tree and stump removal, along with trimming, pruning, cabling, deep root feeding, evaluations and fire wood. Licensed, certified and fully insured. 24 hour emergency service. Tommy's Tree Service has provided high-quality landscaping, tree trimming, mulching, tree and stump removal, plus chipping and shredding services for over 20 years. A tree specialist, Tommy offers prompt, reliable service, including 24-hour emergency service. Call for a free estimate.